Are You Getting Enough From Push Hands? Many variations of Push Hands today allow for a lot of external movement, and external movement is the enemy of internal skill. Just like a body builder isolating muscles to work out, or a scientist isolating variables, the development of internal skill comes from isolating the internal and focusing in. Not all Push Hands games are created equal. 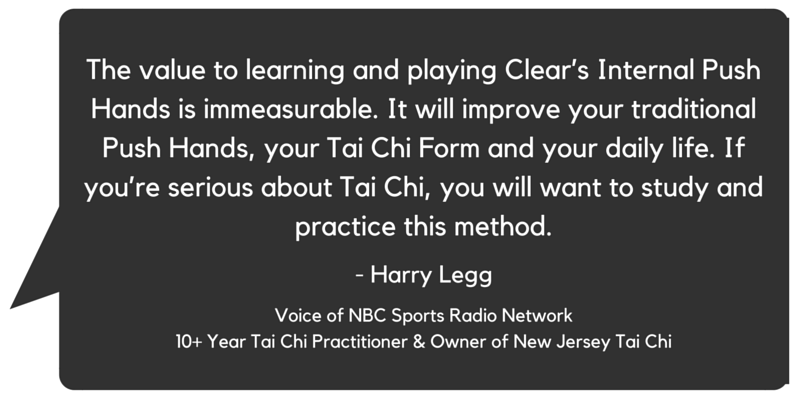 Clear’s Internal Push Hands draws from the Internal Push Hand Game developed by Master Ma Yeuh-Liang, one of China’s 100 Living Treasures of the martial arts. 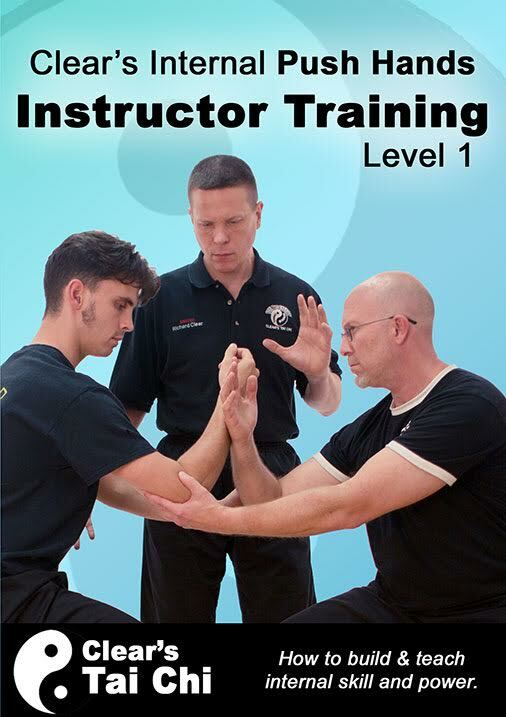 Sigung Richard Clear has spent more than 20 years streamlining and refining the “No Style” Push Hands game, making it accessible with proven training methods and step-by-step instruction. 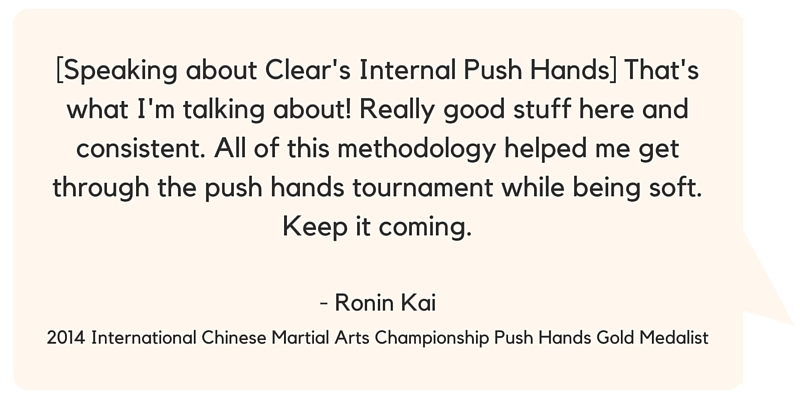 Our students will tell you, this Push Hands method is an amazing way to build internal power, and we’ve got two national champions to prove it. Stop holding back your internal power. Understand what the “error of double weightedness” really is and learn to prevent it. Learn to exploit the “error of double weightedness” in your opponents. Use whole body breathing to defend and attack. Learn to find a push your partner’s root at a depth of up to 18 feet. Feel and neutralize your partner’s internal targeting. 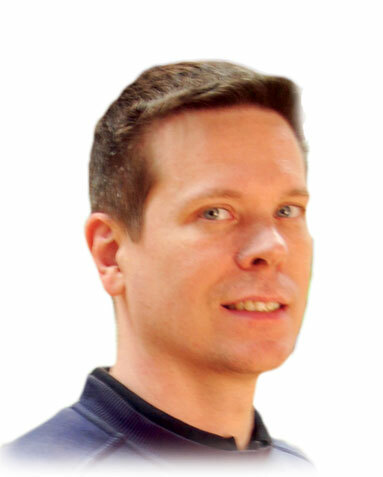 Learn to move your opponent’s line of force when they try to push you.